With Florida State’s loss Saturday to rival Florida, the Seminoles end one of the most impressive streaks in all of college sports. Before this season’s 5-7 finish, the ’Noles had recorded 41 straight winning seasons – including 36 consecutive trips to bowl games. Almost 3,000 miles to the west in McMinnville, Oregon, there is a school that has an even more impressive run going, however. Linfield College hasn’t had a losing football season since Dwight D. Eisenhower was in the White House. Linfield, which has fewer than 2,000 students and plays at the NCAA Division III level, finished 7-2 this year to record its 63rd consecutive winning season. 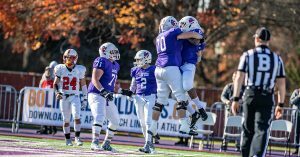 The Linfield Wildcats competed in the NCAA playoffs nine out of the last 10 years and have claimed four national championships in their history. Longtime Linfield coach and athletic director Ad Rutschman was inducted in 1998 into the College Football Hall of Fame in Atlanta, Georgia. 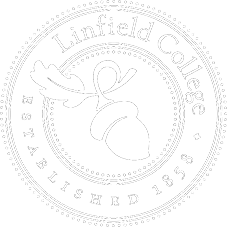 “The Streak,” as it is known at Linfield, began in 1956. That year, the Wildcats finished 6-1-2, winning their last six games in a row. Outside the football stadium on game days still today, “Streak Street” is a pedestrian walkway for fans and a celebration of 63 years of continued excellence. Harvard, Notre Dame and Central College (Iowa) remain tied for second on the all-time consecutive seasons list, with 42 apiece. None of those streaks are current, however. Second on the active seasons list is University of Mount Union, in Alliance, Ohio. Mount Union last had a losing season in 1979. This entry was posted in Press Releases and tagged Florida State, football, streak, Wildcats. Bookmark the permalink.